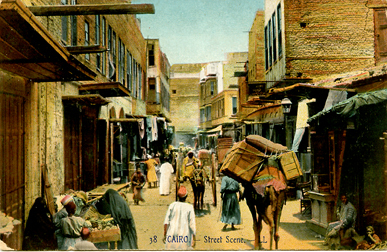 from beautiful Cairo, Egypt.Â It’s been sunny and warm since we left Greece with no major distractions on the route. Hank didn’t seem to enjoy his time on board the boat as much as his brother Harold, but he seems to have recovered now.Â The schedule only calls for us to be here for a few days before we head south to the Sudan where I understand it’s quite a bit warmer than here.Â This is a really bustling city and I hope to get out and see it while I’m here. There is also a music shop that I want to visit while I’m here that is supposed to have some accordion related items I’m seeking. Speaking of music…Eddie has asked me tell you that the pick this weekÂ is ” Travelling” by John Williams (the guitarist) released in 1978 on Cube records in the UK. Â Mr Williams is joined on this recording by some excellent players as they exploreÂ contemporary reworkings of some of the classic gems ofÂ J.S. Bach and more. Having studied with Segovia early in his career, Mr. Williams displays a level of fierce exactitude in his performances that helps drive these modern arrangements. The album is arranged and produced by Stanley Myers. My favorite track is the version ofÂ “Sheep May Safely Graze” arranged by and featuring Richard Harvey on recorders.Â A very pleasant musical excursion that you might enjoy if you give it a chance. Well Hank must be feeling better cause he’s at my door and wants to catch a bite to eat before the gig, so we are off to find some food. You folks all have a good day and I’ll post when we head south later in the week.